Welcome Canadian Florist Magazine readers! 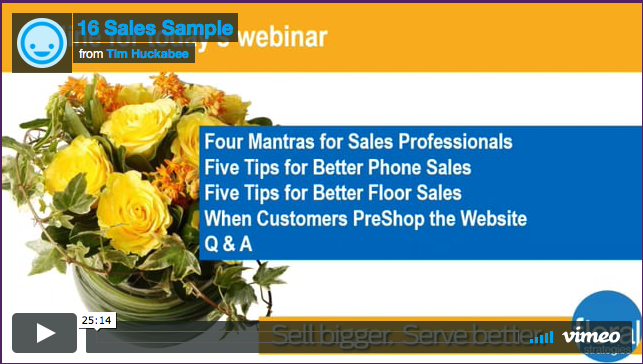 Please enjoy the FREE SAMPLE from last year's sold-out Sales and Customer Service webinar. Enter your shop name and email address below to play the FREE sample.